Spring into the Big Apple. Starting with the Orchid Show at the Botanical Gardens, then tour the Conservatory in Central Park and ride in a Horse Drawn Carriage ride through city streets. You will sample wine and visit the Galleries of Chelsea, explore the Fashion District and designershowrooms, and partake of an edible ethnic adventure and much more. It’s the fun side of the City. 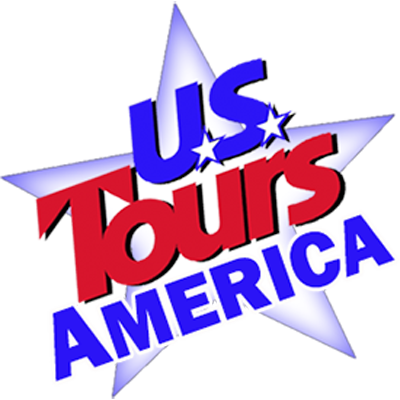 Day 1 – Your tour begins with arrival at your hotel in Mid-Town Manhattan for three nights. Please note we have more economical lodging in New Jersey available as well. The afternoon features a Vino & Art, Guzzling and Gallery Tour. Explore Chelsea a unique New York neighborhood filled with funky art galleries. You’ll be able to sip wine, mingle with artists and learn of their talents during today’s “Open House”. Dinner tonight is in an authentic West Chelsea Restaurant. Day 2 – Today begins with your immersion into the Fashion District of New York. Your local guide will take you into the Garment District where you see racks of clothes moving down the street. You’ll witness the blitz and glitz as you actually stop in a Fashion Showroom or two. Then you visit the designer showrooms in NoLita (short for North of Little Italy) these boutiques are famous for bargain prices. With your fashion purchases securely tucked away, you begin a Noshing Tour into the City’s most deliciously unique markets. It’s a unique opportunity to buy lunch while on a an edible ethnic adventure. The afternoon features a visit to the Metropolitan Museum of Art, and chance to explore their vast collections. There are more than two million works of art here, spanning more than 5,000 years of world culture, from prehistory to the present. You’ll have to choose carefully the galleries that interest you, for the time available. Then it’s time to sit back and relax as you climb aboard your horse drawn carriage and travel the city streets. As the afternoon comes to an end you are at Carmine’s Italian Restaurant in the Theater District for a delicious family style meal. Afterwards you are on your own to enjoy the lights of Broadway or an evening of Theater. Day 3 – This morning you are immersed in Orchids at the New York Botanical Gardens. You will see more than 5,000 orchid “divas” shine in the dramatic lighting and artistic arrangements. You also have an expert-guided tour through the Orchid Show and a Private Tram Tour through the Gardens. Plus an Orchid Care demonstration and a nice lunch at the Garden Café. Next you travel to Central Park where you will be guided through the park’s only formal garden. This 70 year old conservatory garden was designed by Gilmore D. Clark and is composed of six acres of beautiful seasonal plants, that are arranged into three styles: English, French and Italian. Stroll through the magnolia and lilac trees of the English Gardens. Then to the north is the Italian Garden featuring crab apple and yew trees plus wisteria and a large fountain. The French Garden offers spring tulips in abundance and contains the Three Dancing Maidens sculpture. Returning to the Theater District for dinner, you enjoy a fun musical meal at Ellen’s Stardust Diner, home of the singing waiters. This 1950s theme diner is filled with nostalgic memorabilia. And you’ll watch the best videos of the decade on 1956 Predicta television and a on a drive-in theater screen. Following dinner you are again on your own to enjoy the Theater Districts many evening diversions. Day 4 – Following breakfast you are on your way home.